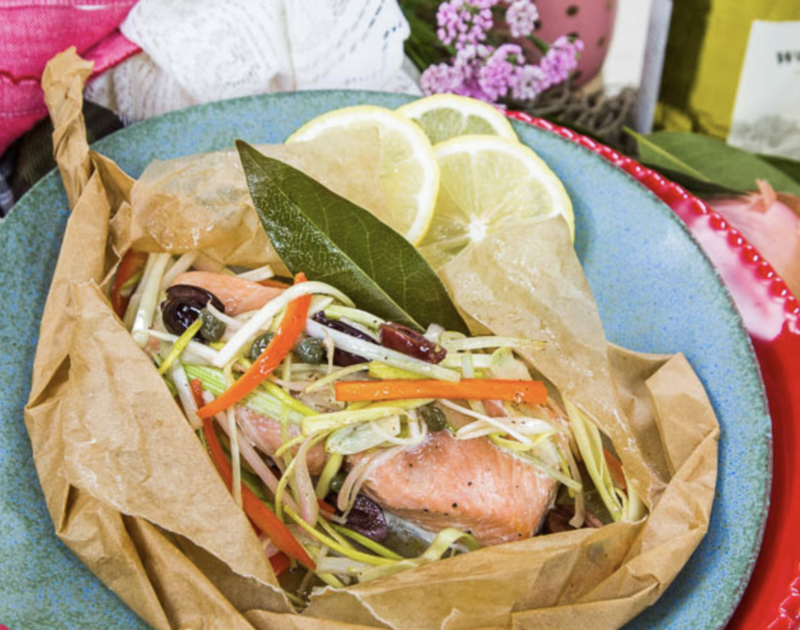 I’m usually a quick-seared-crispy-skin kind of guy when it comes to fish, but this preparation is so easy and the flavors are fantastic so I’ll make an exception ;) The great thing about a recipe en papillote is that you can swap out so many different aspects of this dish and still find success. Don’t have salmon? Cool, use something else. Don’t like olives? Fine, leave ‘em out. Just keep track of your substitutions so you can repeat the dish if you end up loving it! In medium bowl, mix olives, capers, shallot, bell pepper, leeks, and garlic together. Dress with red wine vinegar and one tablespoon olive oil. Season with salt and pepper to taste, remembering that capers and olives add their own saltiness to the mixture. Season both sides of each fish fillet with salt and pepper. 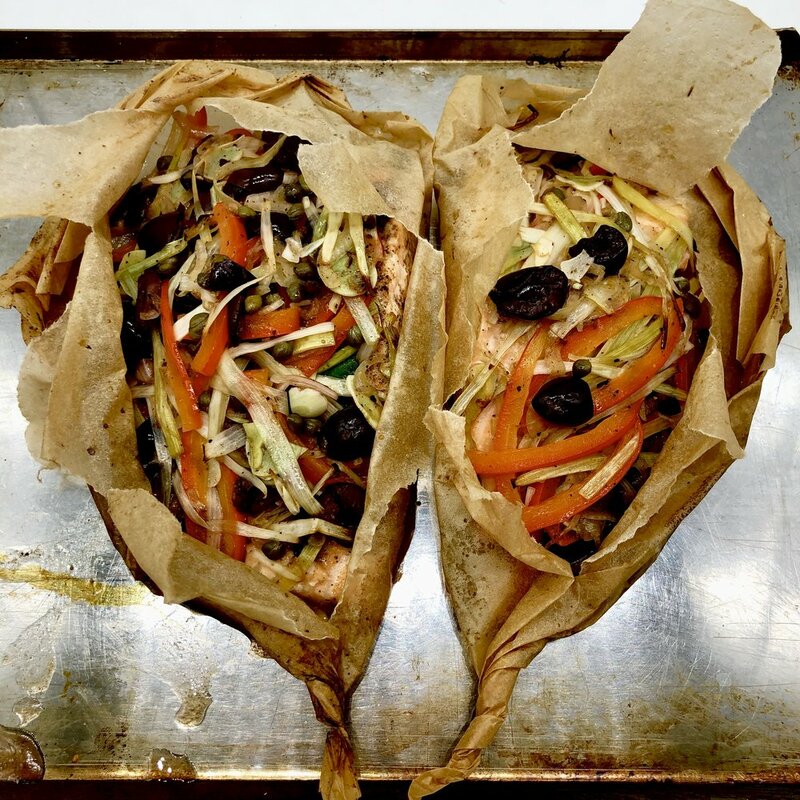 Place one fillet near the fold of each parchment heart. Drizzle each fillet with one tablespoon each olive oil and sambuca. Place one fresh bay leaf on top of each fillet. Top each fillet with mixed veggies evenly. Fold heart-halves back together, crimping along the edge from top to bottom. When you reach the pointed end, twist it to shut the packet. Bake for 13-15 minutes, until packet is slightly puffed. Remove from oven, place on plates, cut open tableside.